With a stay at Hampshire Hotel - Amsterdam American, you'll be centrally located in Amsterdam, steps from DeLaMar Theater and Holland Casino. 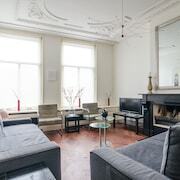 This 4-star hotel is within close proximity of Leidseplein and Melkweg. Take advantage of recreational opportunities offered, including a sauna, a fitness center, and bicycles to rent. Additional features at this Art Deco hotel include complimentary wireless Internet access, concierge services, and gift shops/newsstands. Featured amenities include complimentary wired Internet access, a business center, and complimentary newspapers in the lobby. 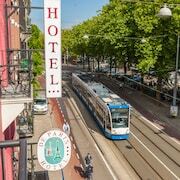 Planning an event in Amsterdam? This hotel has 5027 square feet (467 square meters) of space consisting of conference space and meeting rooms.